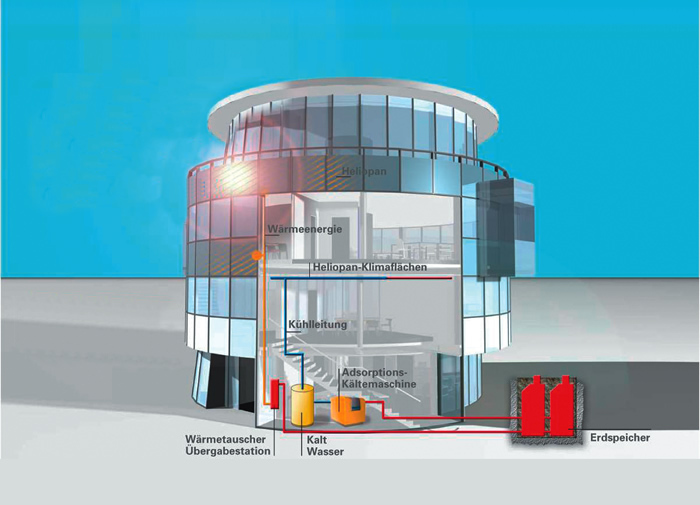 Cooling of glass buildings requires high energy input. Heliopan uses solar energy to reduce these costs considerably. 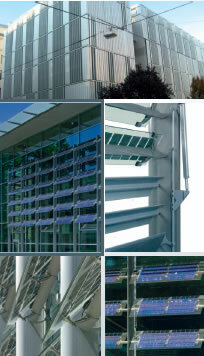 Heliopan Façades combined with innovative cooling technology replace normal air conditioning systems. 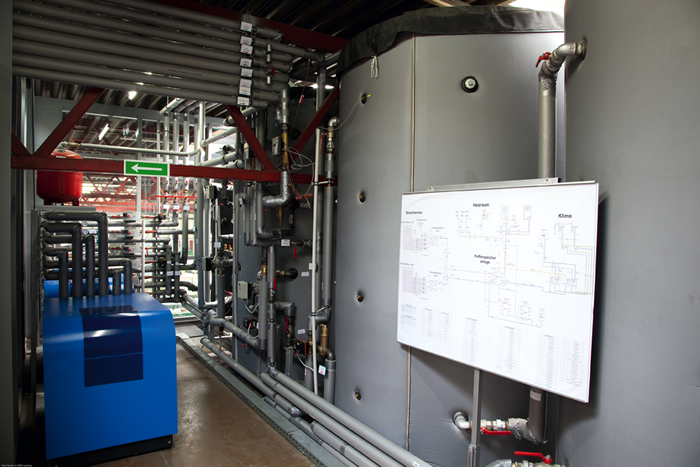 The use of the Heliopan cooling and heating system is capable of achieving amortization of cost within 7 years. With Heliopan you are ready for an independent future. 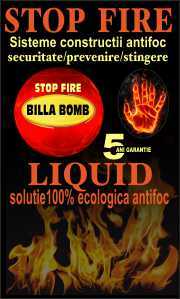 The most important benefit of cooling with solar power is that the demand for cooling parallels the solar irradiation. When solar irradiation increases, the temperatures rises and the demand for cooling also increases; when that happens, the use of solar power becomes more effective! 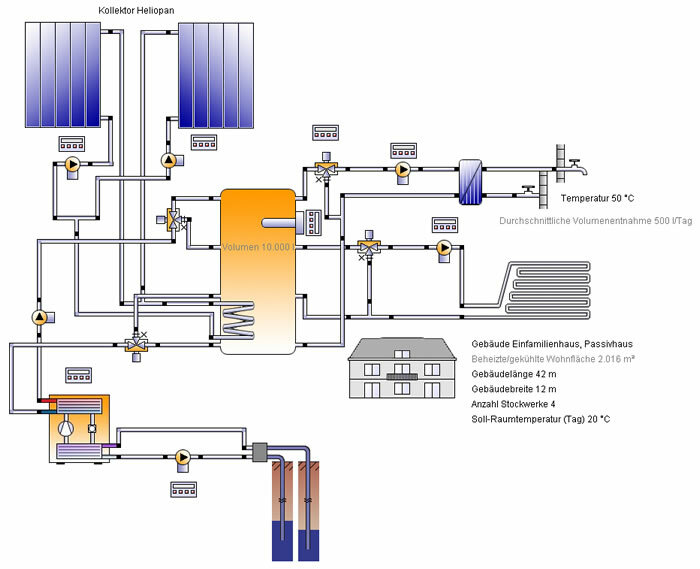 Heating and hot water generation are the classic applications of hydro-solar panels. 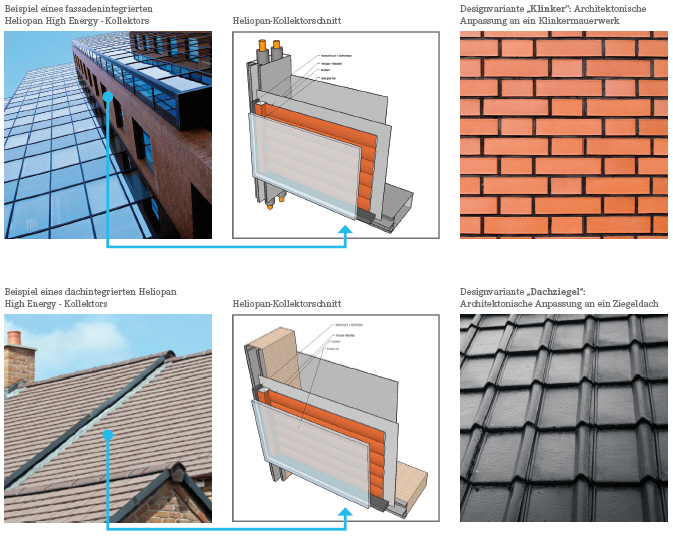 Up to 80% of the hot water demand of a heating system can be produced by the Heliopan energy façade – far and away more efficient than is achievable with a conventional solar heating system! Unsurprisingly the ideal application is in buildings with significant water demand, such as swimming pool, hotels, nursing homes, spas, and the like. Perfect even where the angle of sunlight (azimuth) is low! Warm water generation is the classic way using solar heat. 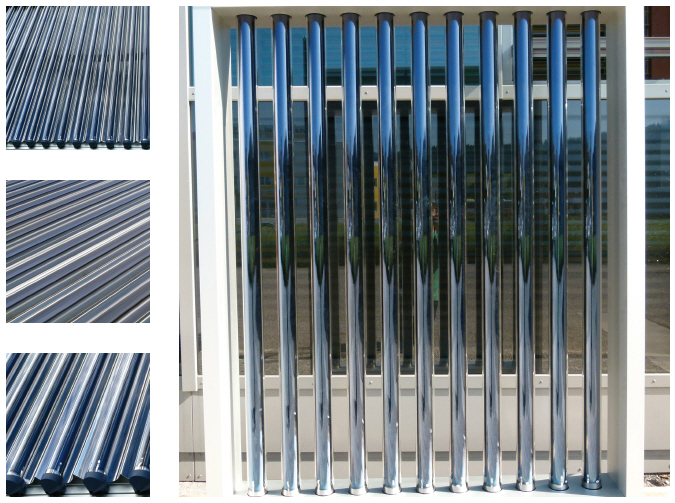 Now Heliopan really shows the strength of its energy façade by outperforming normal solar heating systems. 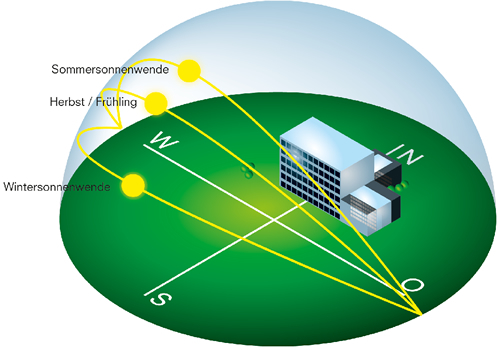 In Autumn and Winter the solar azimuth is particularly low but by integrating the solar heat facility into a façade the solar irradiation at even low angles optimises the outcome. ceilings and thermal concrete activation. 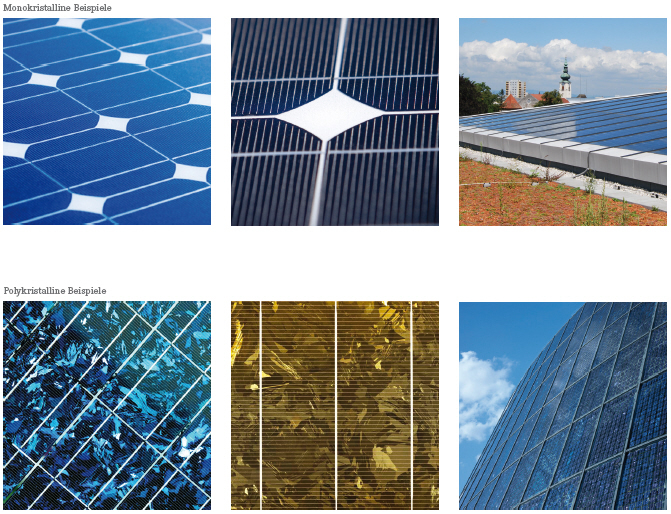 Each and every ray of sunlight is used by the Heliopan energy façade system to generate energy – this “ALL IN ONE” system at the same time, through the solar screening lamella, provides cooling. Wide variations of colours, surfaces, angles, frames, jointing, sheeting, glass combinations and dimensions provide almost infinite freedom of design. 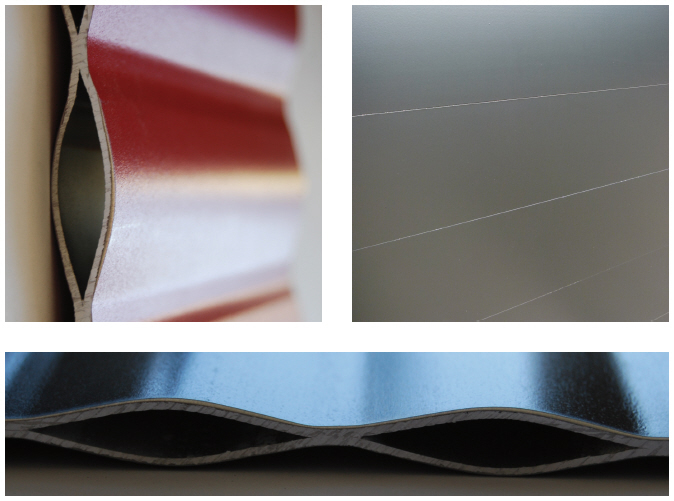 The dimensions, colour and surface texture of the Heliopan Panels can be selected to suit individual specific needs. 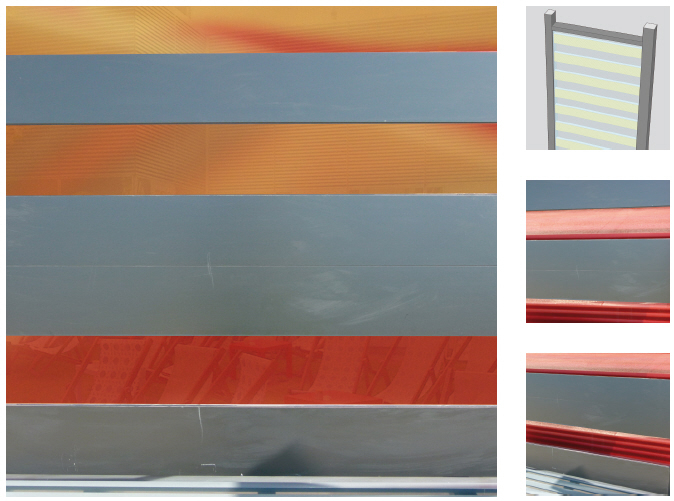 With Heliopan panels you can compose various designs customized for your façade. 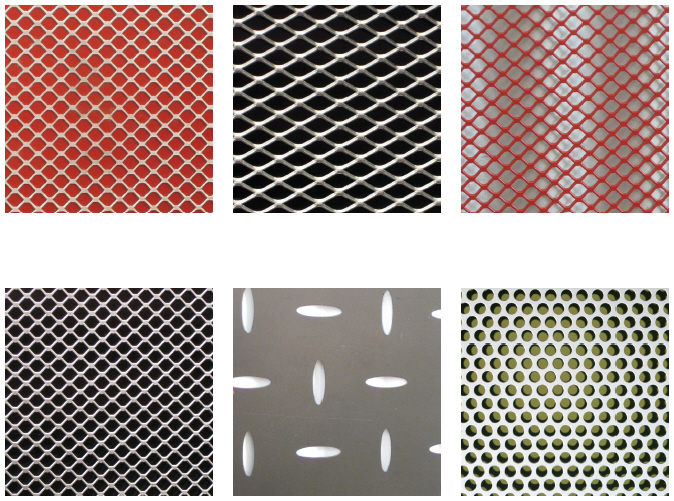 Absorber surface textures: standard metal, perforated metal plates, expanded metal, etc. 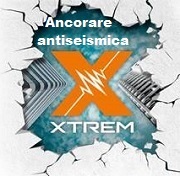 Façade systems: transommullion-system, elemental system, windows, pure glass-façades and any façade made of aluminium and steel. 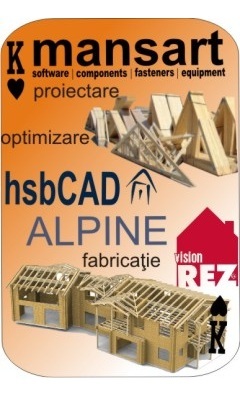 Continuing scope for evolving design results from Heliopan’s ongoing development. Innovative ideas from architects challenge us to create innovative solutions. 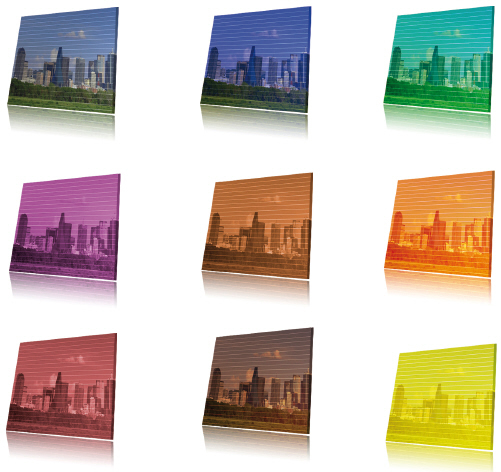 Tell us your design – we will produce energy out of it! 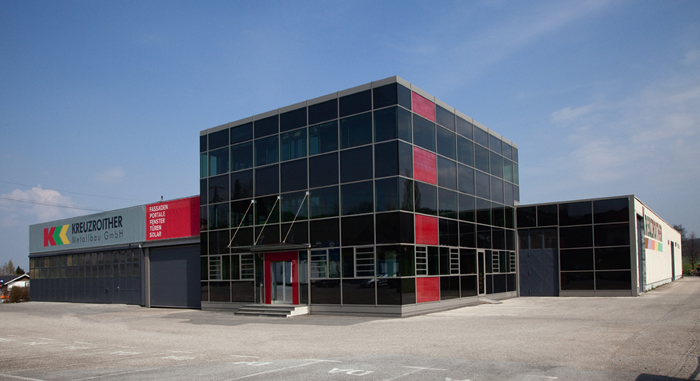 Heliopan’s hybrid elements are the primary example of the energy façade: ALL IN ONE hybrid elements do not mean solely the generation of power by the façade. 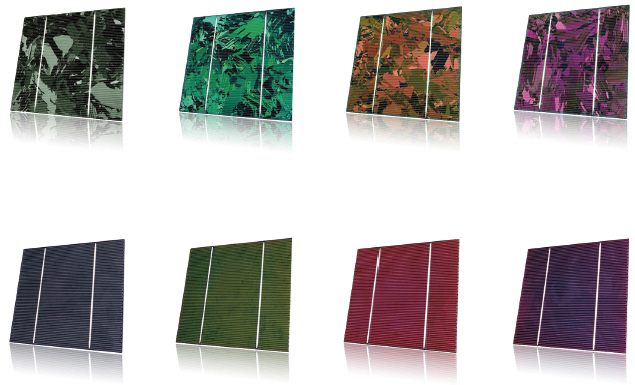 The combination of solar thermal and photovoltaic modules reveal the intrinsic benefits of Heliopan: heating, cooling and power generation in one panel. 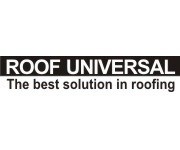 ALL IN ONE describes the variety in design and functionality of this one product. Through ongoing research Heliopan hybrid-panels were developed and ALL IN ONE became reality. 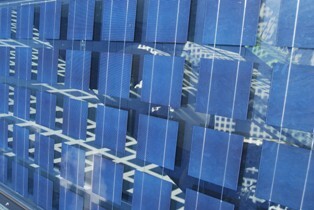 The combination of a photovoltaic module with a solar thermal layer behind creates completely new opportunities for building energy facades. Although the façade area of a building is comparatively large, it is not limitless; consequently it is important to use the areas of a buildings envelope carefully. 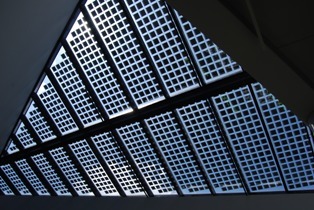 Now the fact of being able to generate power, heating and cooling in just ONE panel expands the potential efficiency gains from using façade and solar power. 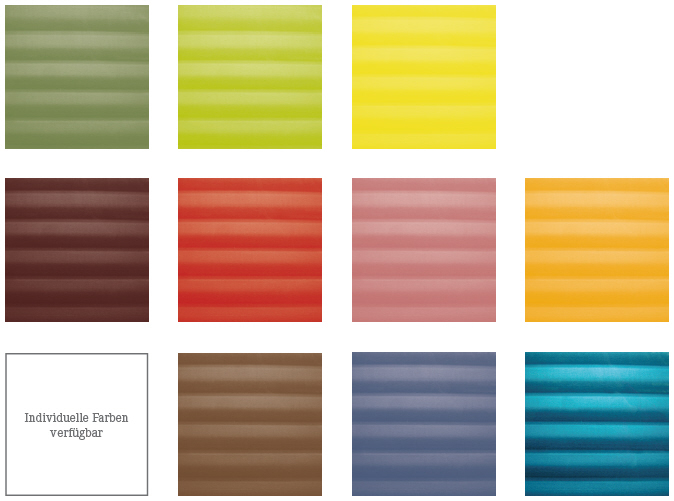 Now there is the unique opportunity for ‘Design without limits’: a full spectrum of colours and multiple designs are available in combination with transparent photovoltaic modules to suit practically every Architect’s and Engineer’s desires. Heliopan’s ALL IN ONE Hybrid collector is a giant step into the future – towards ultimately self-sufficiency in energy production!